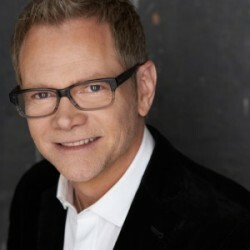 Call A to Z Entertainment, Inc. today to hire or book award-winning Christian and Gospel music singer Steven Curtis Chapman. Having helped hundreds of clients, we are your best agent and agency booking and hiring Christian music singer Steven Curtis Chapman! We book and help you hire any live Gospel and Christian musicians, singers, and music groups. We can also help you plan and produce your event if you like, so call us now at 888-655-4575 and we’ll be happy to help you. “I know this is not anything like you thought the story of your life was gonna be…but there’s so much of the story that’s still yet to unfold.” Few people know the pain and the promise in that statement better than Steven Curtis Chapman. The past few years have been an incredible journey that Chapman wouldn’t have chosen, yet has taught him so very much. Those lessons permeate every song on Chapman’s new album The Glorious Unfolding. Lyrically the album is teeming with the substantive lyrics that have made Chapman the most awarded artist in Christian music with 58 Gospel Music Association Dove Awards, five GRAMMYs, 47 No. 1 singles, and approaching 11 million albums sold. Musically there’s a sense of adventure that reflects Chapman’s ongoing willingness to experiment and leap out of his comfort zone. He’s never taken the gift of music for granted and approaches each new project both excited and humbled by the possibilities. 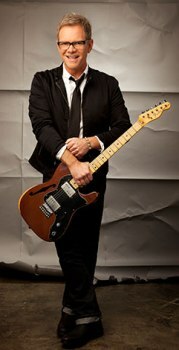 Recorded at Chapman’s home studio, he enlisted son Will Franklin to play drums on six tracks on the album and also engaged other musical pals such as Delirious? alum Stu G on guitar and acclaimed fiddler Andy Leftwich, a member of Ricky Skaggs’ band, Kentucky Thunder, and a key creative force in the making of Chapman’s Cracker Barrel release, Deep Roots. On “Sound of Your Voice,” Chapman recruited surprise guests, wife Mary Beth, daughters Emily and Stevey Joy and daughters-in-law Julia Chapman and Jillian Edwards Chapman to sing background vocals. Recording The Glorious Unfolding was a labor of love for Steven Chapman, helping him give voice to his own joys and challenges and he’s hopeful it will do the same for others. “The theme was this idea that God will complete the story and in fact, He already has completed it and knows the ending,” Chapman says. “Yet a part of the mystery is that He is revealing it in our lives and it’s this unfolding, incredible tale of His love for us. This album gave me a chance to tell that, to celebrate loss and hope and new life. For all of that, I’m really grateful. With over twenty years of successful experience, we are your best agency for booking and hiring Christian singer and songwriter Steven Curtis Chapman. We can help you book or hire any live Gospel and Christian singers, groups and musicians. Call us at 888-655-4575 today and tell us about your event; we’ll be happy to help you! A to Z Entertainment, Inc. is not the exclusive booking agency for any artists on this site, but we’re one of the best.